The Lurie Garden is a 3-acre botanical garden located in downtown Chicago’s Millennium Park, part of historic Grant Park. 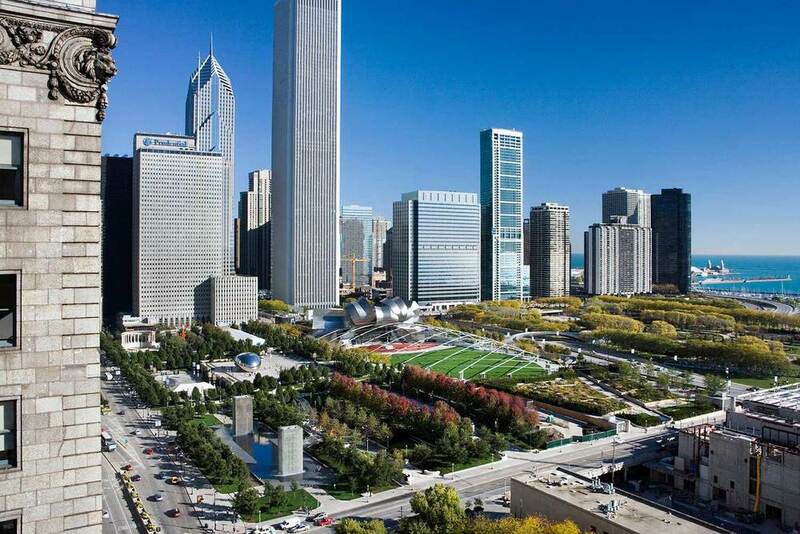 The garden is sited between a bandshell by Frank O. Gehry & Associates and a renovation to the Chicago Art Institute by the Renzo Piano Building Workshop. 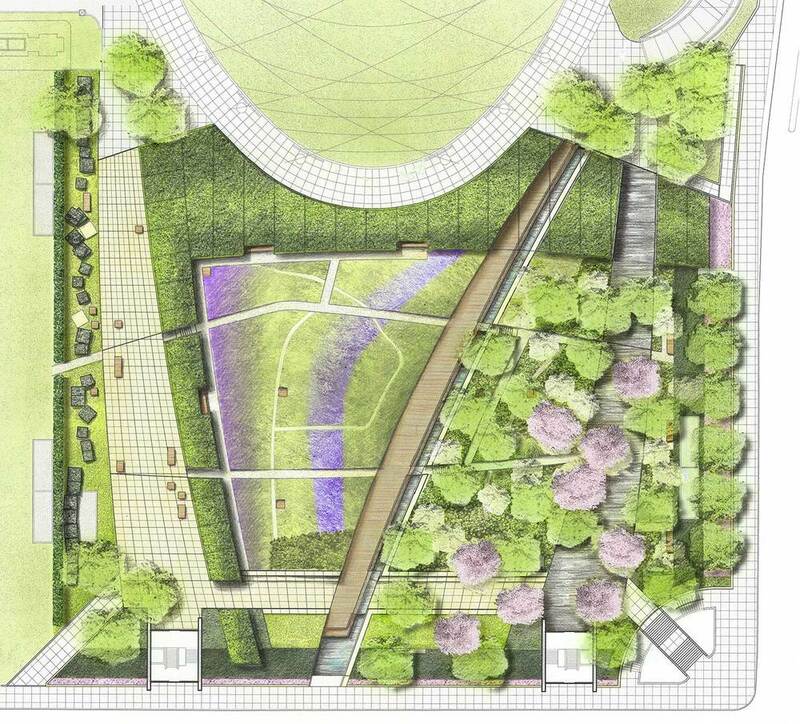 The entire garden is constructed over the roof deck of the Lakefront Millennium Parking Garage. Built upon marshland, Chicago has risen ambitiously skyward. Likewise, the site of the Lurie Garden has been built up from marshy shoreline, to rail yard, to parking garage, to roof garden. This history is revealed in the design, which references the contrasts in Chicago’s historic landscapes with two contrasting Plates. The Dark Plate is shady, thick, and moist. The Light Plate is a sunny, dry prairie. The Plates showcase the perennial selections of renowned plantsman Piet Oudolf. The Plates are divided by the Seam, a water feature and boardwalk that represent the juncture between Chicago’s past and present eras. The muscular Shoulder Hedge on the garden’s perimeter encloses and protects the inner garden. "Constructed Ground", Charles Waldheim. Chicago Cultural Affairs, University of Illinois Press, 2001.